Llamas, sheep and geese is what you’ll find roaming among some Argentine vineyards. If the classic picture postcard included mountains and rows of vines, there is now a bio version with animals. The reason? A small but growing reality called biodynamic wine from which more and more certified wines are arriving. To date, there are around ten producers of grapes and biodynamic wines certified in Argentina, with a total of 331 hectares in production. This is not much compared to other regions of the world, but not bad if one takes into account that the most radical way of thinking and making sustainable wines is attractive but not always easy to do. Much is said about this concept and the production of wines. Some of it is the dust that biodynamics raises in a world where the only way to direct winemaking is towards productivity. Of course there are other approaches. “The biodynamic method is based on some main parameters, such as the non-use of agrochemicals, the use of compost for the improvement of fertility, the use of biodynamic preparations to for specific biological processes, the formation of agricultural organisms and their development, including the presence of animals and the landscape in and around the vineyards, creating biodiversity on the inside and outside,“says the German engineer Eduardo Tilatti, president of the Demeter Argentina Foundation, who is responsible for certifications. The main idea is sustainability and biodiversity as values of wine and its business. As Chilean Álvaro Espinosa, one of the most experienced oenologists in the field, argues, “the organisation of the vineyard in biodynamics is another thing: it works as a whole and avoids the input of additions to the system, and enhances the identity of that portion of the world, which is the principal value of wine and soil“. So biodynamics is a way of producing grapes and wines that enhance the flavour of the wine by enhancing the conditions of the vineyard. However, the scheduling of agricultural work in line with the movement of the stars is the most questioned part, albeit completely in line with farming of the past. That schedule and especially its disclosure, have given rise to many misunderstandings. Tilatti says: “Demeter does not require the use of a calendar, although it is a tool that farmers learn to use for the benefit it brings to their crops. It gives you a good idea of the ebb and flow of fluids directed by the moon, and that is pure science“. The constant search for the identity of wines coincides with the development of biodynamics. Here certifications began in 2007, although the practices started almost a decade ago. There are now around a dozen certified wines on the market and the topic has begun to take on a new relevance. Due to its arid conditions, Argentine terroirs are very prone to agro-ecological and organic practices. To date, it is estimated that there are some 3,000 hectares of organic grapes in the country. Of these, 10% are certified as biodynamic. While organic wine growing is steadily on the up, biodynamics is stagnant, given the difficulty in obtaining Demeter certification. 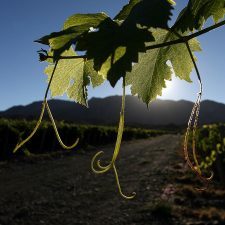 The first wine to reach the market was Finca Dinamia, followed by Alpamanta, Krontiras and Ernesto Catena, as well as Chakana, Escorihuela and Luna Austral. All of them certified even in the process of elaboration. Other smaller producers are Chacra, Finca El Recuerdo and Comarca Biodinámica La Matilde in Córdoba. There are, however, many other biodynamic producers who are not yet certified or are in the process of obtaining it. Kaiken is one of them, along with Can Pedra in Tupungato Winelands. The issue is that “Biodynamic” is a registered trademark of Demeter, so they can not be labelled as such until certification is given. There is a reason for all this: Scandinavian and North American markets’ organic and bio consumption is increasing. Thus, while the world of wine is moving toward more conscious production and sustainability, Argentina is just beginning to be a part of that process, and is already picking up pace.